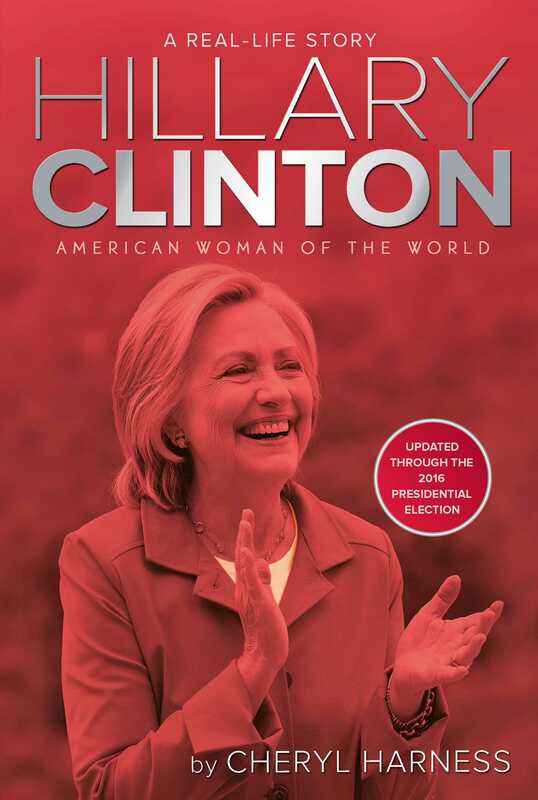 A biography of 2016 Presidential candidate, US Senator, US Secretary of State, and former first lady Hillary Clinton. A Real-Life Story biography of 2016 presidential candidate, Hillary Rodham Clinton. With dreams of becoming an astronaut at a young age, Hillary Clinton has always reached for the stars, politically, personally, and professionally. She’s led a life devoted to public service, championing the rights of children, women, the disenfranchised. Wellesley, Yale, First Lady of Arkansas, Law firm partner, First Lady of the United States, New York State Senator, Secretary of State…her list of accomplishments is nothing short of extraordinary; her life story as told by acclaimed writer Cheryl Harness, is powerfully inspiring. I was born an American in the middle of the twentieth century, a fortunate time and place. THE CONTINENTAL UNITED STATES DIDN’T suffer the sort of battles and bombs that wrecked so much of Europe and Asia in World War II. When it ended in 1945, millions of US veterans came home to a powerful America. They were eager to see their families and start ones of their own. The US birthrate was about to explode. Of the nearly four million “baby boomers” born in 1947, one was tiny Hillary Diane Rodham, first child of Hugh and Dorothy Rodham of Chicago. Baby Hillary’s sturdy, pretty mother was born in Chicago too, on June 4, 1919, but her young parents couldn’t care for her. Little Dorothy Howell was only eight when her mother put her and her three-year-old sister on a train for a lonely, scary, four-day ride to California to live with their mean, strict grandmother. By the time she was fourteen, Dorothy was on her own, working as a cook, nanny, and housemaid. Luckily, her kind employers helped her finish high school, but college? Impossible. In time, Dorothy found secretarial work and a steady boyfriend, stocky, black-haired Hugh E. Rodham. Hugh, a fabric salesman of Welsh ancestry, grew up in Scranton, Pennsylvania, and graduated from Pennsylvania State University. In early 1942, shortly after the United States entered World War II, Hugh and Dorothy were married. He joined the US Navy and served near Chicago, at Naval Station Great Lakes, training sailors for battle. After the war, Hugh started making and selling window shades and curtains. Dorothy helped with the business and had their daughter, on October 26, 1947. She named her Hillary, liking its exotic sound. Events were happening in young Hillary’s world that would shape her life and those of countless others. Black American soldiers, who had helped to win World War II, faced cruel race discrimination when they came home. Thousands of women who’d served in uniform or built tanks and bombers in US factories had to leave their jobs to make room for returning servicemen. Now they were expected to devote themselves to their homes, husbands, and children, as Hillary’s mother did. And everyone lived in the Cold War’s scary shadow. After its 1917 revolution, Russia and its neighbor countries became the Union of Soviet Socialist Republics, aka the USSR or Soviet Union. It was a communist (state owned and controlled) dictatorship. After World War II, the USSR seized control of Eastern Europe and isolated its citizens behind a virtual “Iron Curtain” between them and the democratic West, including the United States, which waged a long Cold War (a war of nerves rather than guns) to keep Soviet-style Communism from spreading. President Harry Truman went on TV (a White House first) in 1947 to say that the United States would help keep other countries from becoming part of the USSR’s communist empire. The United States and the ever-more-powerful USSR competed in the arts and space exploration. They piled up bombs to fight each other, bombs that could destroy the world. Communism scared Americans so badly that they questioned their fellow citizens’ patriotic loyalty and got into awful wars in Korea and Vietnam before the Cold War finally ended in 1991, when the Soviet Union crumbled. Hugh Rodham did so well at his business and at saving money that he was able to buy a two-story brick house at 235 North Wisner Street, in Park Ridge, Illinois. Hillary’s family moved into this well-to-do Chicago suburb in 1950, when she was three and her younger brother, Hugh Jr. (Hughie), was a baby. Their brother Tony came along in 1954. Hugh and Dorothy took their babies to Scranton to have each of them christened at Hugh’s boyhood Methodist church. Not far away was a cabin that they visited every summer. Hillary and her little brothers swam in Lake Winola, played pinochle with their grandpa Rodham, and listened to his stories. At home, four-year-old Hillary loved playing with all the neighborhood kids, but one day a tough little girl shoved her. If she was hit again, said Hillary’s mom, she should hit the other girl back. “There’s no room in this house for cowards,” said Dorothy. She wanted her children to be confident and stand up for themselves. So Hillary minded her mother and came home in glory, puffed up with the other kids’ respect, including that of the tough girl, Hillary’s new friend. It was a strong and lasting lesson. Hillary grew up riding her bike to Eugene Field Elementary and to the library. Like her mom, she loved books, card games, and board games. She earned good grades and Brownie badges, trying to please her much-loved dad. Alas, Hillary’s strict, cantankerous father rarely praised anybody. He did show his daughter how to hit a baseball. Though she wasn’t a natural athlete, she played hard, and sports taught her not to take defeat personally. Better luck next time. Besides, nobody beat Hillary at organizing a neighborhood game of kickball or a backyard circus. Dorothy taught her children to keep their emotions centered, like the bubble on a carpenter’s level. Hugh taught them to root for the Chicago Cubs and not to expect allowances, even when they helped out at the family business. They must not waste anything. Leave a cap off the toothpaste and he’d toss it out the window for his children to find, even in the snow. No matter how cold the night, the furnace went off. Money was to be saved, not spent. And Republican Richard Nixon should have won the 1960 presidential election—definitely not John F. Kennedy, the Democrat. Hillary agreed with her dad. She was a Republican too. Her mom’s politics were more Democratic, but Dorothy kept that to herself around her forceful husband, in conservative Park Ridge. After a Russian cosmonaut and then a US astronaut rocketed into space in 1961, young Hillary was inspired to write to NASA (National Aeronautics and Space Administration) to see how she could join the US space program. But Hillary was not destined to become an astronaut, and around this time an important mentor came into her life: the new youth minister at her church, the First United Methodist. Reverend Don Jones wanted to open the minds of the white suburban teens in his flock. He introduced them to difficult books and fine art, and to the young people at Chicago’s black and Hispanic churches. With Reverend Jones’s encouragement, Hillary babysat for Mexican children whose families worked on the area farms. In spring 1962, Reverend Dr. Martin Luther King Jr. came to Chicago. Reverend Jones took Hillary and her friends to see, hear, and shake hands with the increasingly well-known civil rights activist. Hillary learned more about her country as well as the power of words well spoken. They could inspire people and move them to action. After some three hundred years of buying, selling, and holding African Americans in forced servitude, legal slavery had become such a settled way of life in the American South that it took a four-year-long Civil War and a constitutional amendment to end the practice in 1865. Former slaves gained citizenship in 1868, but laws couldn’t root out some whites’ racist attitudes and cruel behavior. After years of deadly violence, the US government produced a parade of laws aimed at fairness and racial equality. In 1948 President Truman ordered the US armed forces to end segregation (separation by race). In 1954 the US Supreme Court ruled that public schools must be integrated (young people learning together). But American troops often had to protect brave black students from mobs of furious white people, who didn’t want their world to change. Behind every law, such as the Civil Rights Act of 1964 and the Voting Rights Act of 1965, were many marches, sit-ins at “whites-only” businesses, and countless acts of solitary courage. People faced getting fired, evicted, beaten, or jailed just for trying to vote. To integrate city buses in Montgomery, Alabama, in 1956, it took the leadership of activists like Dr. Martin Luther King Jr. and Rosa Parks. Black citizens boycotted (didn’t ride) the buses for more than a year. All of this and more made up America’s huge social change known as the civil rights movement. When Hillary, high school dynamo, wasn’t studying, she was busy with church and school activities like the student council, newspaper, National Honor Society, and girls’ softball. As for dating, Hillary’s protective father disapproved of most of the boys she liked and the dancing lessons she wanted. And he couldn’t see why his daughter should have a driver’s license when she had a perfectly good bicycle. At school, some kids thought she was stuck-up. She didn’t always return their smiles—maybe because nearsighted Hillary couldn’t see without her glasses. She’d worn them since she was in fourth grade, but Hillary thought she looked better when she took them off. As a busy senior and a Republican, Hillary wrote a term paper about conservative (pro national defense, anti “big government” programs) Barry Goldwater. This Arizona senator was her choice in the 1964 presidential election. President John F. Kennedy would have been running again that year, if he hadn’t been assassinated in Dallas, Texas. That was in November 1963, Hillary’s junior year. So JFK’s vice president, Lyndon B. Johnson, took office and became the Democrats’ man in ’64. Hillary’s history teacher had introduced her to Senator Goldwater’s writings. Alas, “Goldwater Girl” Hillary not only saw her candidate soundly defeated, she lost an election herself. In her campaign for student government president, Hillary gave an impressive speech to the whole school, but she lost to a boy. She must be really stupid, a kid told her, to think that “a girl could be elected president.” That stung. So Hillary did what she almost always did with her hurt feelings. She tamped them down and got busy running her school’s organizations committee. She’d still have an important job—just one with less glory and a lot more work. At last, on June 9, 1965, Hillary and the other “?’65ers” prepared to don their red caps and gowns for the Maine Township High School South graduation. The Supremes, the Beach Boys, the Beatles, and the Four Tops played on their transistor radios—or, perhaps, news about America’s ongoing war in Vietnam or black citizens’ continuing battles at home for civil equality. Hillary Rodham and millions of other baby boomers were leaving high school forever and stepping out into a tempestuous world. Who knew what lay ahead, for them and for their country? 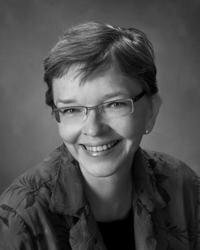 Cheryl Harness lives in Independence, Missouri. As an author and illustrator, she is known for her engaging approach to history, seen in such books as Our Colonial Year; Mary Walker Wears the Pants; Young Abe Lincoln; George Washington; Spymaster; Three Young Pilgrims, Ghosts of the White House; and Remember the Ladies.